The Caribbean Trading Company Store is located in Palmer on the way to El Yunque Rainforest. The store captures the best of the glamorous and memorable Caribbean Island experience! The focus is on authentic art and Caribbean treasures. 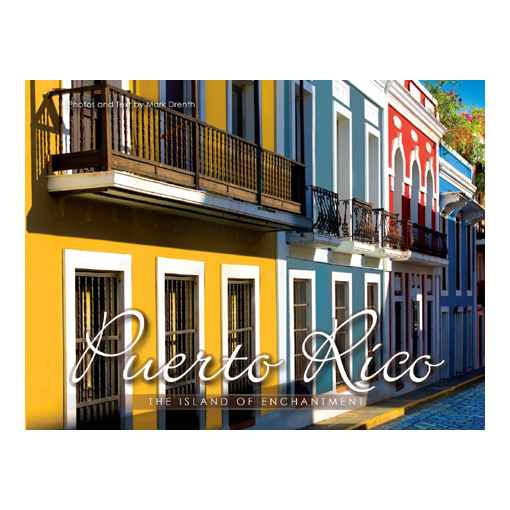 We would be happy to provide your entire group with Coupons for the Gift Shop for your stay in Puerto Rico. This is particularly ideal for any groups visiting El Yunque Rainforest, or staying on the Eastern End of Puerto Rico. We offer daily taste testings – of our local coffee and our full line of hot sauces and Island Fever Salsa. A great way to try before you buy! Also stop by to take our Hot Sauce Challenge with our most extreme hot sauce and receive a fun souvenir certificate. Puerto Rico offers some great local art options and we want to share it with you! We spotlight some of our favorite artisans at the store by having them spend the day with us, where they will show, make, and sell their work. Come meet them and score an authentic souvenir. We want to say “thanks” for coming into our store. With the Captain’s Club card, you’ll get great rewards and be the first to hear about events, sales and discounts. Group Services is what we do best and we’d love to show you! Swing by the Company Store any time and we’ll be happy to meet with you, give you a tour of our Warehouse facilities, show off our exciting gift items, and share a cup of coffee! We will give you a personalized Gift Consultation. All Meeting Planners will also receive a free gift in the store (with a business card as confirmation).. Sometimes you just have to have it, but it won’t fit in your luggage. We offer shipping! Being based in a U.S. territory means that we can ship your treasures to you via the U.S. mail, UPS, DHL, or FedEx. Caribbean Trading Rincon is located just off the town plaza in Downtown RIncon on the West coast of Puerto Rico. The focus is on authentic art, Rincon souvenirs,Caribbean treasures, and Beach gear. We would be happy to provide your entire group with Coupons for the Gift Shop for your stay in Puerto Rico. This is particularly ideal for any groups staying in Rincon, or staying on the Western End of Puerto Rico. There are all kinds of treasure in this world, and it doesn’t have to be buried… for a range of quality merchandise for souvenirs or gifts to commemorate your day on the Island, check out the Island Outpost Gift Shop! Palomino Island T-Shirts and Souvenirs – Tropical Clothing and Headwear – Beach & Sand Toys – Snacks & Smokes – Caribbean Delights – Cool Island Gifts – Suncare Products & Much, Much more! We would be happy to provide your entire group with Coupons for the Gift Shop while staying at the El Conquistador Resort. We offer daily taste testings – of our full line of hot sauces and Island Fever Salsa.